By his own admission, Tusker founder Eddie Frank was not suited for the classroom. The world at large held a much stronger pull. At 15 he talked his way into a Hollywood fashion photography studio and got a job as an apprentice – for no pay. It was a way to get out of part of his school day, but he instinctively knew it would open his world. Working with two Hollywood fashion photographers, it was the springboard into that bigger world. He learned how to use a camera and it spawned a dream shared by many of us in the 1960s. He wanted to be a National Geographic photographer. After nearly half a century and 30,000 photographs and countless hours of video later, that dream morphed into Tusker TV. It’s a partial compilation of the video and film shot by Eddie during his Tusker Trail & Safari years. “It’s a way to share the adventure and show what adventure was like before it became a big business,” Eddie says. Tusker TV runs the bumpy gamut from Eddie’s early grainy videos to his more recent high quality films. There are currently 19 films posted on the website. The collection includes Tusker’s early hard driving days of Africa overland expeditions and later video of today’s Kilimanjaro climbs and Mongolia treks. They show how Eddie has refined his craft with high production values mirroring Tusker’s evolution into a nationally respected adventure travel company. It was classic bush travel where trip members were pitching their own tents, sharing cooking duties, getting bitten by whatever was flying at them and meeting the locals in remote villages. 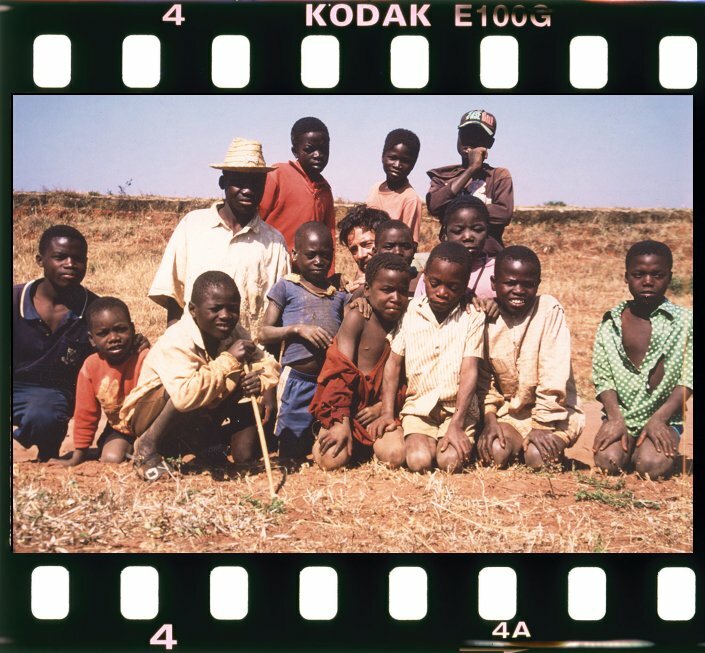 Later trips in the early 1990s depicted in the films feature Tusker’s tribe floating down the Okavango Delta (Botswana) in dugout canoes and walking through the sun-fried savanna in Zambia on walking safaris. It was ballsy and the wildlife was everywhere. In homage to National Geo and Mondo Cane films, Eddie’s “Witch Doctor Ceremony” video portrays a witch doctor performing an exorcism on a hexed woman. Without narration, the vibrant footage needs none. The pounding drums, the mud-splattered faces, the spasmodic gyrations tell it all. Ask any serious filmmaker today, whether working in Hollywood or in the Indy underworld, and they will tell you they strive to offer a filmic truth. Eddie has no pretensions, but in his latest films he has taken the Tusker video oeuvre to a higher road. With the six Kili films that debuted in 2015, Eddie hired nationally renowned narrator Will Lyman to do voiceovers, and he lends the kind of gravitas not generally associated with a promotional video. Cinematographer Troy Paff has numerous Hollywood credits and captures Kilimanjaro in all its diverse splendor giving the full picture of what it takes to climb Kilimanjaro. The films give insight into the drama occurring on the mountain as Tusker’s clients push their limits to reach the roof of Africa. In the newest videos, a three episode Mongolia package that debuted in March, the videos combine the old and the new. They feature some of the most outstanding visuals of a world few have seen. Tusker’s participants play starring roles; some hiking, some riding horses over the tundra. The work pops as the rushing glacial rivers and blue skies are artfully shown. The thread connecting all the videos are the push for non-compromise adventure by a company and its clients who will go the extra 10,000 miles to do it right. So grab some popcorn or garbanzo beans and come along for the visual journey. Get stoked and then come along for the real thing.